Cook tortellini as directed on package. Drain; rinse with cold water to cool. In large bowl, combine cooked tortellini, beans and corn. Add salsa and salad dressing; toss to coat. Sprinkle with cilantro. Cook the tortellini in advance and chill it for up to 24 hours. Just before serving, toss the tortellini with the rest of the ingredients. 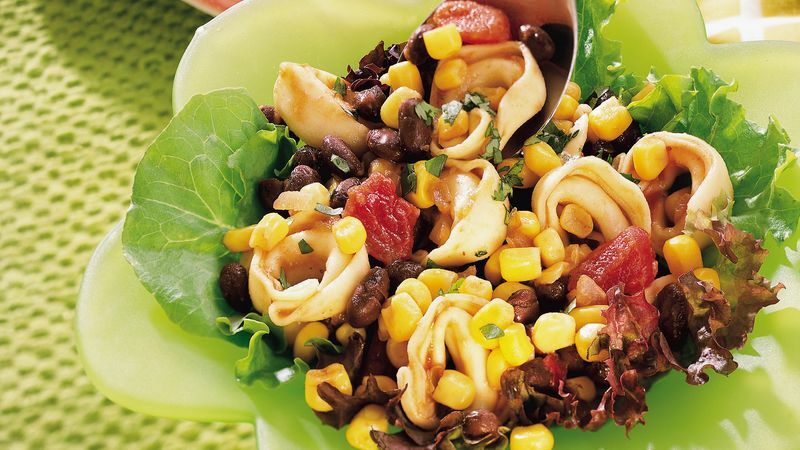 For Chicken and Salsa-Tortellini Salad, toss in 1 cup of diced cooked chicken. Mound the salad on mixed greens and serve it with warm cheese-filled flour tortillas.